Australia is all set to exceed its target of generating 33,000 GWh of renewable energy by 2020 as part of its clean energy target (CET) as there are plans to build an additional 6 GW of RE capacity in the works apart from the 7 GW plus of RE capacity already in existence. Australia is seeing the faster uptake of solar energy as costs have become extremely competitive and are now competing with fossil fuels even without any subsidies and support. 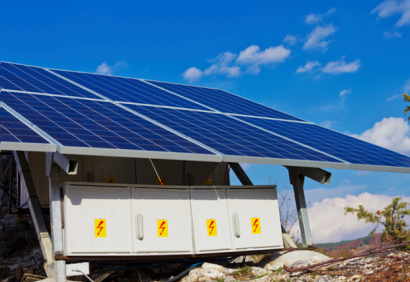 With storage being added to the mix, the intermittency problem of renewable energy is also being taken care of. Retail electricity tariffs in Australia are extremely high making solar plus storage viable for a large number of households. In fact, more than 1.7 million Australian households have already installed solar rooftop systems with a capacity of more than 6 GW in the last few years. While the earlier surge in solar energy was driven more by the state government subsidies such as Feed in Energy tariffs, the current growth in solar energy is coming from its cheapness as compared to the grid tariffs. It is becoming cheaper in many places to install solar and storage as compared to buying electricity from Australian retailers who are charging high prices due to the concentration of the Big 3 utilities which are distorting the free market structure. The oligopolistic structure of the Australian electricity market has resulted in this high priced environment. A new major growth driver is the construction of large utility-scale wind and solar power plants. These plants are being built to sell power to large industrial and commercial customers on a PPA basis. Some of the large utilities are also building large solar farms to replace the existing fossil fuel coal plants. Even as the new Australian government is not supporting green energy, the state governments of NSW, Queensland and Victoria are supporting the sharp growth in renewable energy leading to a surge in solar and wind energy plants. The new National Energy Guaranteed Plan drafted by the central government is short on specifics and without any support for green energy. However, private players and state governments are pushing ahead with large investments in solar and wind energy as they are not only clean but also cost competitive. IRENA expects that solar energy costs may fall by another 40-50% in the next 10 years making the investment case compelling for investing in these plants.